Wow. This is 15 minutes of amazing stuff. We’re probably all familiar with the “Blue eye/Brown eye” segregation exercise used to teach aspects of racism and prejudice, but Jane Elliott kicks this up 10,000 notches, in my opinion. Warning: I found myself thinking early on in this video that she wasn’t a good teacher because she seemed so unwilling to listen to the student who wanted to communicate her thoughts… until I realized she was staying in character for the benefit of the lesson. By the end I found myself suddenly in tears. Now THIS also brought me to tears, but for entirely different reasons. Thanks to Becky P., (my spawn from another mom), I was just introduced to this absolutely INCREDIBLE chocolate chip cookie recipe. Is it quick and simple? Lord, no. Michael Pollan, guru of real, nutritious food, suggests that we can have junk food, if we are willing to make it ourselves. OK… that eliminates a lot. But it won’t keep me from these. So let the flour fly, my friends, for these are SO worth it. this recipe and the process of chilling and baking yields a cookie that, I am fairly certain, will make everyone sit up and take notice. 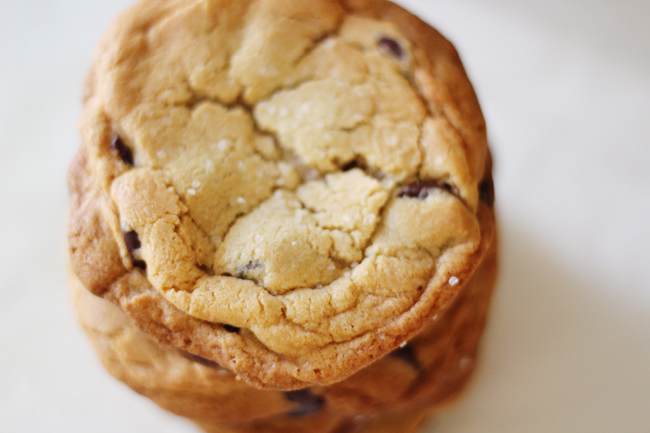 THE ONLY CHOCOLATE CHIP COOKIE….. I have changed my daily skin routine and am beyond happy with the results. My latest super star team member came from an unlikely source. A few months ago I profiled a new, chem-free sunblock by Avasol. 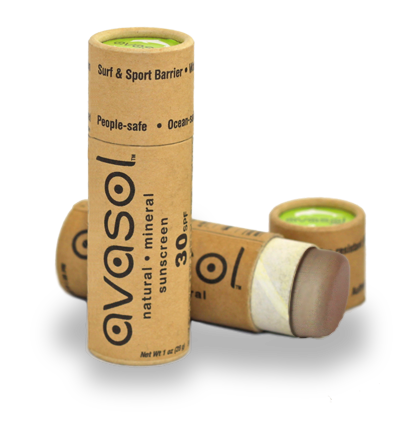 Since that post, Avasol has emerged with tinted versions of both their sun cream and their sun sticks. So…. willing to strike out and experiment, I took the Dark and the Tan “Surfer’s barrier sticks” and used them as an everyday base, FIRST spritzing my face and hands with water and using a few drops of oil or a little dab of Egyptian magic rubbed on my palms and smoothed on to moisturize. With my face marked up like this, with this really good, protective sunblock, I then make a mix in my palms of another dab of Egyptian Magic mixed with a lightweight tinted sunblock/moisturizer, and spread/pat it all over my face, then use fingertips to lightly blend that with the sunstick base until it looks seamless. I then top it off with yet ANOTHER form of sunblock… Jane Iredale Pure Pressed Mineral Base, again in 2 colors (a lighter and darker, used as the photo above would indicate). Although the color of the surfer sticks may not appear to match your skin tone all that well, it does seem to color correct quite a bit once on the skin, and the tinted moisturizer and Pressed Base powder correct the rest. I’ve seen this method work on a few different skin tones so far. Would love to hear from you when you try it. But wait….why jump through all these hoops? Honestly, my skin feels and looks better than ever since I started using the sticks as a base, and the protection I get from this seems to last longer…. and that’s the point, really… it allows me to have really good sun protection and yet feel like I have just a light make up on my skin. So there’s my skin schtick… I encourage you to give it a try. A recent report on DailyScience.com provides further evidence that healthy gut bacteria plays a huge part in immune response as well as psychological well being. Our gut bacteria is a fascinating reflection of our personal habits… everyone is different. The customization begins at birth… gut bacteria differs according to vaginal or Caesarian delivery. Early maternal separation also changes gut bacteria. Really? Yes… so you can imagine what else affects this “soup of life” that we are discovering may determine our emotions, our resistance to illness and disease, our digestion… and the list can, and will, go on. As an aside, I listened to a recent lecture on red meat and it’s relationship to heart disease from research at the Cleveland Clinic. It has been newly discovered that a main culprit in heart disease risk appears to be high blood levels of TMAO (trimethylamine N-oxide)… and gut bacteria plays a huge role in the production of TMAO. Get this… regular meat eaters show high levels of TMAO shortly after consuming red meat. Vegans (who were willing to participate in the experiment!) showed virtually NO rise in TMAO after eating red meat. So our gut bacteria is a product of our habits, not merely a response to immediate stimuli. Back to the recent research… depression seems to be associated with certain profiles of gut bacteria, and shows relief with probiotic therapy. They are calling these “psychobiotics”, as they seem to have such a significant role in depression. For now… bottom line… watch your intake of meat…. and eat a lot of yogurt. Enough said. Keep it simple. Once you’ve clicked START, the system will show you a random face that you have to remember. When you’ve memorised the face, click DONE. Try to rebuild the face by clicking the ten face parts. Each part has three different possibilities. Once you’re happy that you’ve matched the face, click OKAY. The system will count how many you’ve remembered correctly. You can click SEE ORIGINAL and SEE YOURS to go between your answer and the correct answer. I know this is a really long delay to respond to your Nov. 17th blog, but I finally got around to buying the Avasol Surfer Sticks, used your schematic to make it a very complimentary cosmetic look and still be protected. Living in Hawaii, and paddle-boarding often, I have tried numerous high sunscreen protection foundations, and have not been thrilled. Thank you for a new daily routine that looks great. And I thought the teacher was way out of line and could have gotten the message made without being so cruel. What she did to a vulnerable teenager could have had dangerous effects. I know from raising 3 kids how sensitive they are.